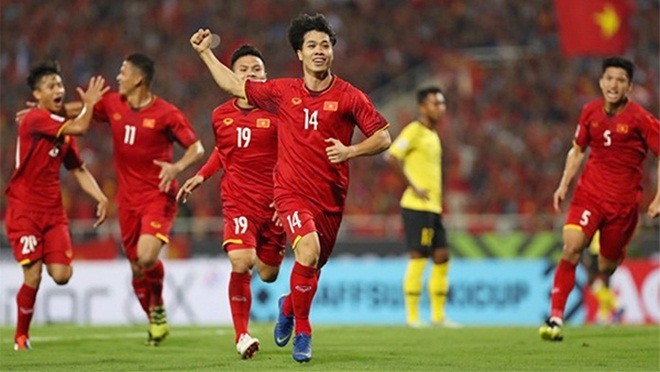 HÀ NỘI — Strikers Nguyễn Công Phượng and Nguyễn Anh Đức helped Việt Nam beat Malaysia 2-0 in their second match of Group A at the AFF Suzuki Cup on Friday night. The game was held at the Mỹ Đình National Stadium in Hà Nội. “I am very happy to contribute to Việt Nam’s win today. The match was wonderful as we had the support of thousands of fans. We will try our best to play well in the next matches to thank the fans,” said Phượng. “We played very well as we had a long rest following the 3-0 win against Laos in the first match on November 8,” Phượng added. 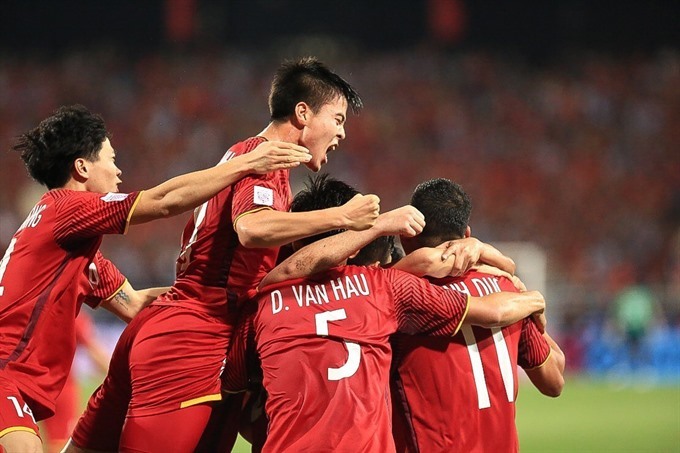 In the second minute, Việt Nam had the first chance against the Malaysian goal. Receiving the ball from midfielder Lương Xuân Trường, Đoàn Văn Hậu managed a header but it bounced off the cross bar. After that the visiting side responded quickly down the right wing but Nguyễn Trọng Hoàng saved the hosts from danger. In the 11th minute, from an attack on the left wing, Phượng, who is considered Việt Nam’s Messi, scored the opener for the hosts. It was Phượng’s second goal in the event. He opened the scoring at New Laos National Stadium to help Việt Nam get their AFF Cup 2018 campaign off to a winning start on November 8. 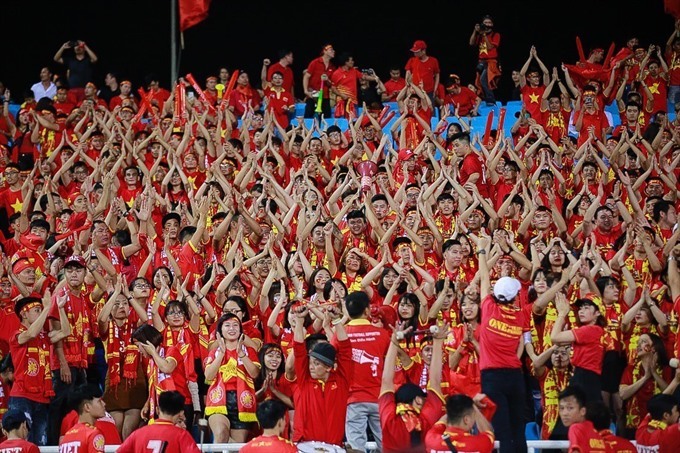 Phượng, who is one of the top scorers of the V.League 1 side Hoàng Anh Gia Lai, is also listed by affsuzukicup.com as being among the best players in the event’s opening matches. After conceding an early goal, the visitors pushed back. Syamer Kutty Abba was awarded a yellow card following his foul against midfielder Nguyễn Quang Hải in the 13th minute. One minute later, Việt Nam were given a free kick 30m from the Malaysian goal. Hải stepped up but his shot hit the post. In the 21st minute, Norshahrul Idlan Talaha, who has scored three goals in the regional event, nearly scored an equaliser for Malaysia but couldn’t beat Vietnamese goalkeeper Đặng Văn Lâm. The hosts played slower and managed to control the ball while Malaysia continued to keep a quick tempo. In the 37th minute, Abdul Rashid threatened the Vietnamese goal but goalie Lâm again pulled off a strong save. Việt Nam had several chances to double the score before the first half ended but they failed. After the break, Malaysia fought back strongly and controlled the game in the first 15 minutes of the second half, however, Việt Nam scored to double the score. In the 60th minute, receiving a spectacular pass from Phan Văn Đức, striker Đức defeated Malaysia’s goalie. Đức, 33, is the oldest player in the Vietnamese squad. He also scored one goal against Laos on the opening night of the tournament. He performed well in the National Cup this year to help his club Bình Dương take the title. In the 70th minute, a Malaysian player elbowed attacker Phượng but the referees didn’t see the altercation. After that, both Việt Nam and Malaysia changed their line-up. However, Malaysian efforts in the remaining minutes weren’t enough to change the scoreline.